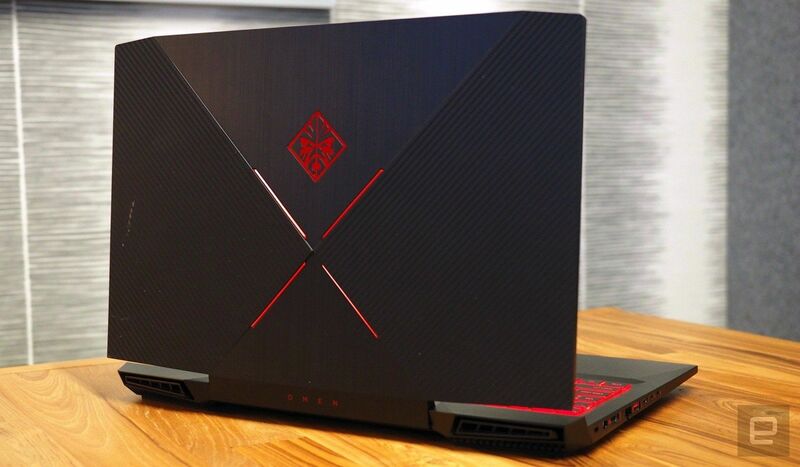 HP OMEN 15 GAMING LAPTOP – AN OMEN OF THINGS TO COME FOR HP’S GAMING DIVISION? 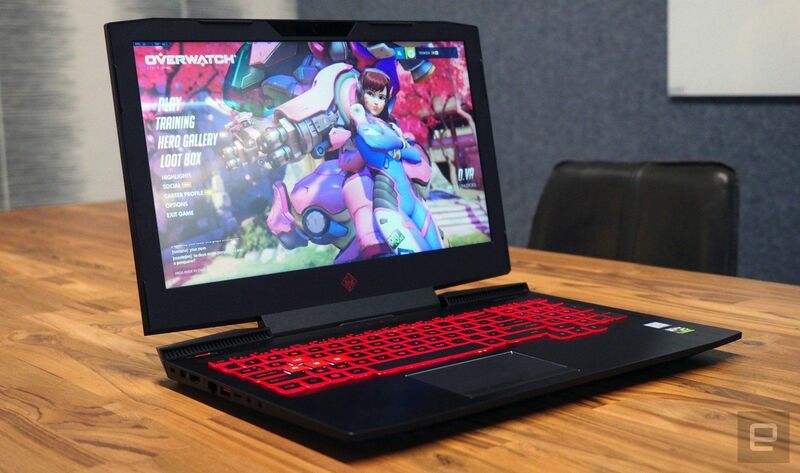 Republic of Gamers, Aorus, Alienware, and now we have another major manufacturer launching its own dedicated gaming brand, with HP making a serious push with its Omen range. It actually launched last year, but it’s only this year that we’ve seen how serious the company is about developing a dedicated gaming series. Part of this range is the new Omen 15 gaming laptop, which we spent several days playing with. It’s the first laptop we’ve seen to use Nvidia’s new Maxq technology, which is an overall approach to laptop design to keep fan noise down, while conserving energy. In the words of Nvidia, it looks for peak efficiency while maintaining high performance, and allows for quiet 18mm gaming laptops decked out with top-end hardware. The Omen we reviewed came with a GeForce GTX 1060 mobile GPU, which may not be the fastest card on the planet, but the audio load topped out at a mere 46dB. There is a pay-off to Max-Q though, as it has a performance impact. This is due to the rather large frequency drop, and in the case of a standard GTX 1060 mobile versus the Max-Q version, the base frequency has dropped from 1544 MHz to 1265 MHz. Meanwhile the Boost frequency drops from 1759 MHz to 1480 MHz, which is a 15% drop. under three grand. Colours are rich and accurate thanks to the IPS panel, and there’s a healthy range of I/O ports. As for the rest of the hardware, we have the usual blend of specs for this price point. Intel’s i7-7700HQ quad cores boost up to 3.8GHz and is the darling of the laptop world, while 16GB of memory is just right. A Samsung 256GB SSD keeps things speedy for your OS and fave games, while a secondary 2TB is more than enough for even the hungriest file hoarders. 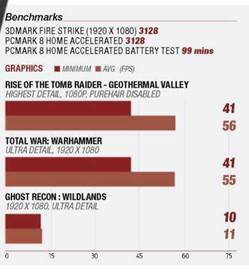 Performance is bang on where expected for the combination CPU and GPU. As you can see, it runs most games well, but super-strainers like Ghost Recon need a lot more than a mere 1060, hitting a mere frame rate average of 11 frames per second. We’re sure it would perform around the 40 frames per second mark at middling settings, but we test all of our laptops at Ultra to really see what they can do. For this price you’re getting a whole lot of laptop – 120Hz display, G-Sync, excellent storage and more.